In early September David Hawk published his latest work on the North Korean prison camp system. Hawk is the best-known English-speaking authority on this subject, having documented the North Korean political camps for nearly 15 years. His new report is called “North Korea’s Hidden Gulag: Interpreting Reports of Changes in the Prison Camps,” and it deals with the recent changes in the North Korean camps. The major conclusions of the study might surprise many – but not the present author and my colleagues. Having analyzed the assorted material, Hawk came to the conclusion that over the last decade or so there have been significant reductions in the scale of the North Korean “camp universe.” In the 1990s, the number of prisoners was estimated at 150,000-200,000, while the current number appears to be much lower, some 80,000-120,000. Two large camps (Nos. 22 and 18, the latter being the oldest of all North Korean camps, in operation since 1958) have been recently closed. The present author, who has been watching changes in North Korea’s prison system for three decades, expected such data to appear sooner or later. There is good reason to think that the decrease in the number of political prisoners began about 15 years ago. Admittedly, we do not have any access to North Korea’s internal government statistics, so our assumptions about North Korea’s repressive system are largely based on refugee testimony and satellite photos (the camps are highly visible). With the presence of a large number of refugees in China and South Korea, such estimates are increasingly reliable. The refugees do not know much about exact numbers, but they have a fairly good idea about general trends from a particular period, so one can easily surmise whether the regime’s repressiveness is on the rise or, alternatively, declining. As the Soviet experience confirms, such an impressionist view is imprecise, but not misleading. 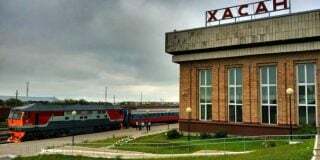 In the Soviet Union, official statistics about Stalin’s terror were officially declassified only in the 1990s, but everyone with even the most passing of interests in Soviet history was quite aware of the ebb and flow of terror in the Soviet Union under Stalin. From the available anecdotal evidence it seems clear that in the last 15 or 20 years the general trend has been a lessening of repression. This trend includes the abandonment of the family responsibility principle. For decades, the family responsibility principle was the cornerstone of North Korea’s terror system. According to this principle, not only the culprit of a political crime but all members of his – it was rarely a woman – household were supposed to be arrested and sent to a prison camp. Admittedly, the members of an offender’s family were kept in better conditions and had fairly good chances of being released in due time, usually after the death of the criminal in question. 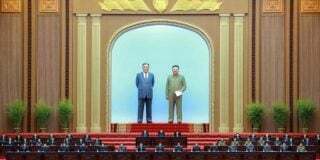 Nonetheless, family members constituted at least one-third of political prisoners in North Korea of the 1980s. However, from the mid-1990s, things began to change. 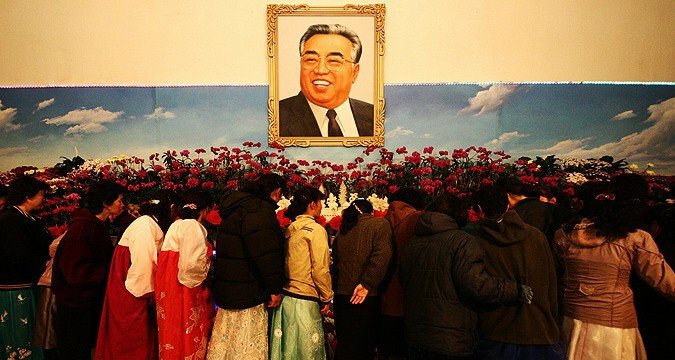 With increasing frequency, observers began to come across cases where a political criminal was arrested, but his family was allowed to remain free – an impossibly liberal attitude by the standards of Kim Il Sung-era. Occasionally, even the families of prominent North Korean refugee political activists escaped prison – at least in some cases, the activists in question were even clandestinely sending their family money, thus ensuring that their family would live better than the North Korean average. 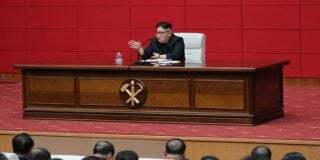 As my own private talks with former North Korean security officials and police officers have confirmed that, from around 1994-95, the security bureaucracy was officially informed by the government that the family responsibility principle was to be applied only under special circumstances. According to the estimates of a former mid-ranking North Korean police official, such punitive punishment was applied only in 10-20 percent of all political cases. Generally speaking, the application seems to be quite random: In some cases, the authorities do not touch the families of those who have committed grave political deviations. According to the same sources, around 2003-04, a new set of instructions prescribed that the principle should only be applied in very special cases. However, it appears that those arrested earlier because they were family members of political criminals were not immediately released. Therefore, this liberalization was quite limited. Nonetheless, it was clearly a form of liberalization, and the near-complete abandonment of the principle is bound to have a significant impact on the number of people in prison camps. The partial abolition of the family responsibility principle is merely one of a number of changes indicating the increasing relaxation of state terror. Another area in which liberalization is clear and undeniable is in the treatment of border-crossers caught in China or en route to China. Contrary to what is frequently claimed, most apprehended would-be border-crossers are treated with leniency, and those caught usually get away with just a few months detention (one year seems to be a maximum possible sentence for the average border-crosser). In most cases, even people who have been apprehended for the second or third time get away lightly. Only those known to have been in contact with foreigners – especially South Koreans – or Christian missionaries face lengthy imprisonment nowadays. 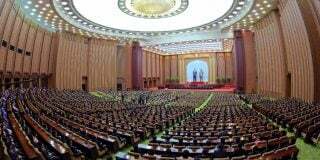 To a large extent the changes seem to have been initiated from above, but it also helps that the North Korean bureaucracy, including the police, has become remarkably corrupt. With a small bribe one can escape many kinds of legal trouble. For example, I am aware of a person who escaped to China, then was caught and sent back. The authorities believed – correctly – that he did not go to China just to make extra money, but planned to go to South Korea, and thus had established contacts with missionaries and brokers. However, the investigator in charge saw this as a situation fit for a bribe, demanded $2,000 for the man’s freedom and just like that the case was closed. The man in question was wealthy and could afford what most North Koreans could not, so he paid the money, and managed, a few months later, to make it to South Korea. Admittedly, the sum of $2,000 is a lot of money in North Korea. But not all bribes are so exorbitant. For example, five years ago, someone caught listening to foreign radio could get out of criminal charges for $100. The going rate has increased of late but is still quite moderate. Thus, as Hawk’s report confirms once again, the North Korean state is therefore becoming a significantly less dangerous place to live; that is, if we consider the political police and the state the major threat. As a matter of fact, one should not be excessively optimistic about a “coming thaw” in Pyongyang. The aforementioned is far from being a harbinger of systemic reform. One should keep in mind that even the lowest estimates of political prisoners’ number – some 80,000 – indicate that the ratio of political prisoners to population is just marginally lower than it was in Soviet Union at the end of Stalin’s rule. Nonetheless, such developments are clearly positive: things have moved from being disastrous to being merely very bad. Subscribe to read the remaining 1197 words of this article.